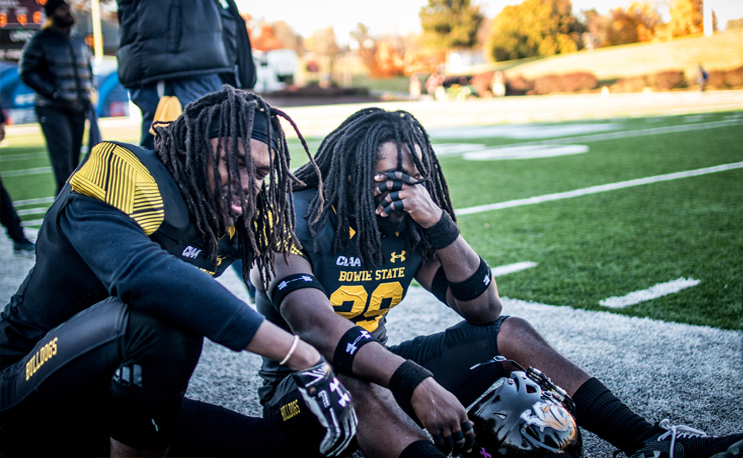 Bowie State is back in the D2 football playoffs after capturing the CIAA Championship on Saturday. Put down the cigars and put the champagne on ice, Bowie State, you’ve got more football to play. BSU (9-2) will host a NCAA Division II playoff game for the second year in a row. The newly-crowned CIAA Champs will host West Alabama on Saturday after receiving a fourth seed. It beat Fayetteville State 30-10 on Saturday for its first-ever CIAA Championship on Saturday. BSU will be the only HBCU in the playoffs as Virginia Union is on the outside-looking in after finishing 8-2 this season. It is the first time in three seasons since the SIAC and CIAA joined the same super-region that only one HBCU has made the postseason. Last season both BSU and Virginia State were among the seven seeds in Super Region II. Winston-Salem State and Tuskegee were selected out in 2015. The SIAC has been shut out of the playoffs for the second consecutive season. “it beat” or is it “they beat”? Congrats to Bowie State Bulldogs, I hope they win it all.